Melanie C. “a.k.a. Sporty Spice” of the greatest girl group of all time the ‘Spice Girls’ stopped in and shopped at our UK store. 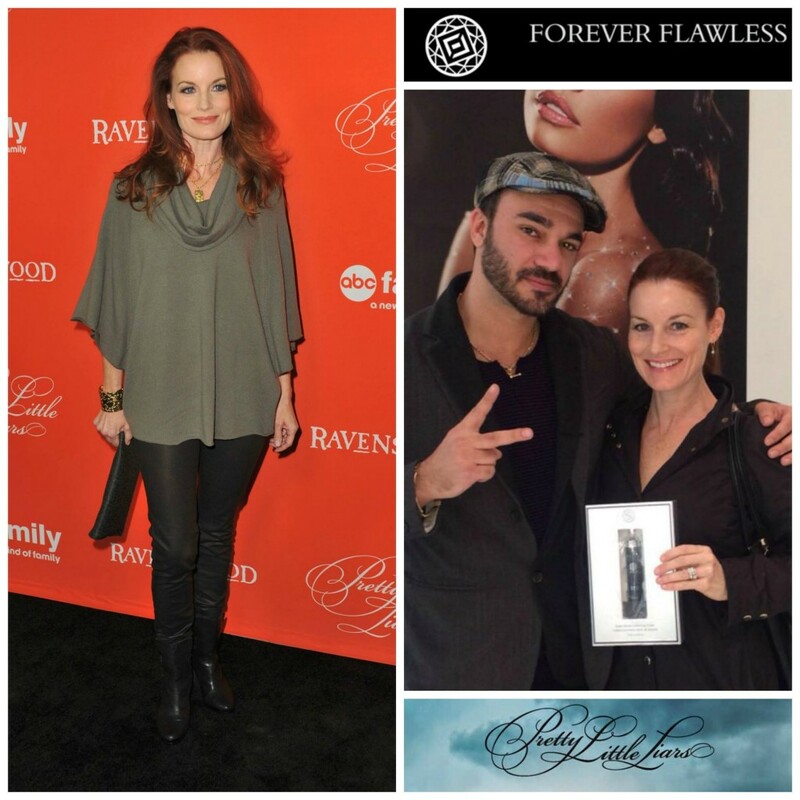 Laura Leighton star of “Melrose Place” and most recently the hit TV shoe “Pretty Little Liars” stays flawless with our Forever Flawless Snake Venom Age Correcting Cream. Broadway star and Golden Globe winner for the hit TV show “Frasier”, Kelsey Grammer stopped into our Netherlands Store. Forbes Riley featured many of our products and collections on her show Forbes Living. Formula One driver for Ferrari Kimi Räikkönen made a pit stop at our Forever Flawless Gala in Singapore. Italian soccer star Graziano Pellè came in and shopped our products to maintain his flawless skin and flawless look. Basketball star and newest member of the Atlanta Hawks, Dwight Howard picked up some Forever Flawless products at our Playa Del Carmen store. Pretty Little Liars – Laura Leighton Stays Forever Flawless FOREVER FLAWLESS FEATURED IN BAZAAR MAGAZINE NEW KENNESAW STORE FEATURED IN JEZEBEL MAGAZINE NEWS FEATURE: PACIFIC BUSINESS NEWS Forever Flawless featured in Marie Claire (Hong Kong) COLLAGEN – A Bevy of Benefits! !